Home Energy Audit in Greater Richmond, Chester, Midlothian, Glen Allen, Mechanicsville | How a Home Uses & Loses Energy? The Drying Co./ThermalTec recommends an energy check-up for every house because like any good doctor, we know that it's malpractice to prescribe treatment before completing a thorough diagnosis of your home. Contact us today to begin your savings! 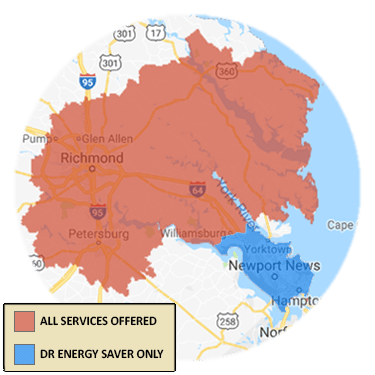 Schedule a home energy audit in Midlothian, Glen Allen, Mechanicsville, Chester, Sandston, Hampton, Henrico, Quinton, Toano, Fort Eustis, and throughout Greater Richmond. We are your trusted resource to understand the problem areas in your home and best way to fix them! A The Drying Co./ThermalTec home energy evaluation provides you with a thorough analysis of all the systems and conditions that factor in your home's energy use. Your The Drying Co./ThermalTec "doctor" will also inspect insulation levels, ductwork, HVAC equipment, water heating and lighting. Special construction details --like crawl spaces, knee walls and living areas above a garage, for example-- will also get scrutinized because of their impact on comfort and energy efficiency. Get our free book, "Saving Energy and $ at Home" when you sign up for a The Drying Co./ThermalTec Home Energy Audit. Call or email today to schedule your home energy audit. Once your home energy evaluation is complete, you'll be able to confer with your The Drying Co./ThermalTec "doctor" and decide which energy-saving upgrades should be completed first. Just as medical prescriptions must be carefully checked for possible interactive effects, one energy-saving upgrade can have an impact on another. To get the most for your money, it's important to do the right things in the right order. Some energy-saving improvements will actually improve your home's indoor air quality. For example, leaky ductwork can actually cause your HVAC system to distribute air from crawl spaces, basements and attic spaces throughout your living area. These same leaks can cut your HVAC system efficiency in half. To stop breathing "bad" air and wasting energy, you may just need a single improvement from The Drying Co./ThermalTec: duct sealing. Don't stay in the dark about your home's energy performance, especially when energy prices are certain to rise in the future. A home energy evaluation from The Drying Co./ThermalTec will provide you with a clear path to improved comfort, lower utility and energy bills and a healthier home environment. Contact us today to schedule your home energy audit in Virginia. 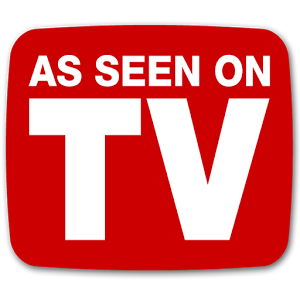 We proudly service throughout Greater Richmond including Glen Allen, Mechanicsville, Chester, Midlothian, Fort Eustis, Sandston, Toano, Hampton, Quinton, Henrico, and all surrounding cities and towns.